This week, I’m sharing an easily adaptable fall movement activity to Concerto No. 3 (“Autumn”) from Vivaldi’s The Four Seasons. I love incorporating classical music into music therapy sessions whenever possible because it is always age appropriate and provides a fantastic opportunity to introduce clients to a range of musical styles and genres. The programmatic nature of this Vivaldi piece pairs well with concrete seasonal concepts such as leaves changing color and falling off the trees, making it a highly successful activity for clients of all ages and levels of functioning. 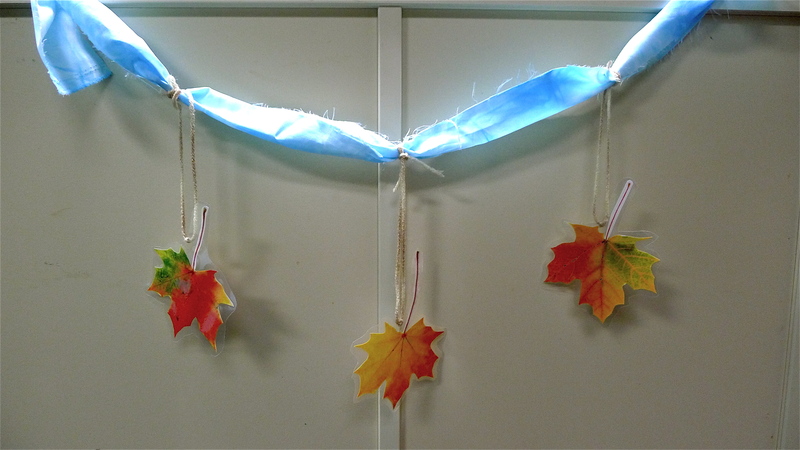 First, I decided on some leaf images that were realistic in color, size and shape. 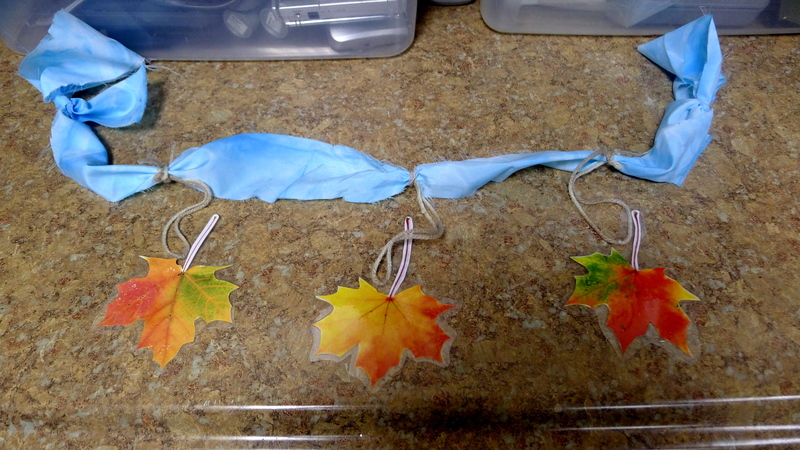 I laminated them for durability, punched a hole in each and tied them to some scarves with yarn. Using a simple slipknot, I made a loop at both ends of each scarf so that clients can easily grip it or slide it on their wrists if needed. Music and art: Encourage clients to draw a picture of the story depicted in the music as they listen. Music and relaxation: Dim the lights and have clients move their scarves slowly in their seats. Sharing and teamwork: Pair students together and have them share one scarf. The students must work as a team to move the scarf without talking. Below is a great version of Vivaldi’s “Autumn.” Happy Fall, everyone!